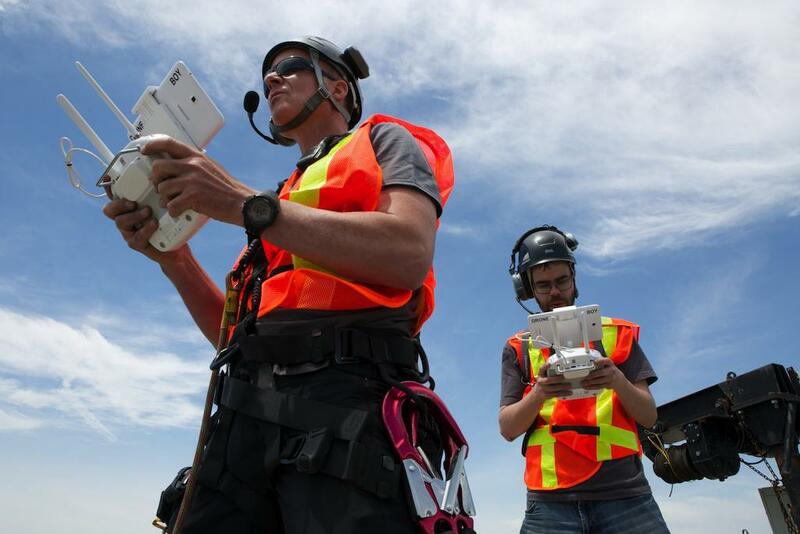 As you have likely heard, big changes are underway in the Canadian drone world with Transport Canada’s issuance of new regulations that come into effect June 1, 2019. If by chance you have not heard, here is a link to our blog post a couple of months ago on the topic. In the past few months since they were released, a lot has been clarified, great progress has been made, and things are shaping up nicely at DroneBoy for us to transition to the new regulatory environment come June 1. You will recall one of the biggest hurdles was around the requirements of needing a SAFE drone in order to operate in urban areas (controlled airspace). 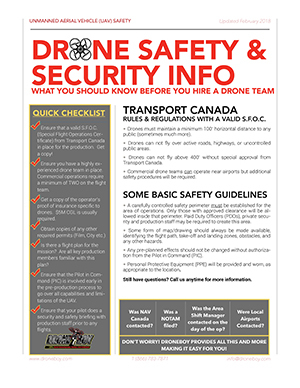 In February, Transport Canada released the details on what is required for a drone to be declared SAFE and the fantastic news is that DJI (the manufacturer of choice for many drones) has formally declared 9 of their drones as being SAFE compliant. Included in the list is the Inspire 2, our go-to drone for more than 85% of our work! This means that effective June 1 we at Droneboy can and will continue to provide high quality aerial imaging using our fleet of high quality DJI drones. While this takes care of a big unknown, we are still working hard to solve the other gap we (and other operators) will have, which is to have a Heavy Lift Drone that we can legally use effective June 1. We at DroneBoy are working vary hard with the manufacturer of our heavy lift (Freefly Alta 8) to ensure we can continue to have this tool in our toolbox to lift the likes of the Arri and RED cameras that productions love to use. We are not leaving this to chance and we are working on a few different strategies to ensure we can transition to the new regulatory environment come June 1 and be able to offer you all the services and options you have come to expect. Another change as a result of the new regs is the requirement for ALL drone operators (hobbyists and commercial operators) to have a pilot certificate. This comes in two flavors: Basic and Advanced. This replaces the old SFOC process and is critical for all operators to have in order to operate legally. We are pleased to announce that we at Droneboy have this requirement already covered. Many of our crew have already gone through the process and have successfully passed their Advanced RPAS exam and are fully approved to operate in the Advanced category. Some of our crew have taken it to the next level and have become certified as Advanced flight testers. This is the highest level of drone certification achievable in Canada. So with 2 months left before the new regulations come into effect, we at DroneBoy are well positioned and are already prepared to operate under the new regulations. More work remains to be done, but things are looking much better than they did two months ago. Be sure to revisit our web site and our BLOG often to get the latest information on this and all things drone here in Canada.